I don’t know about you, but I’m very much already in 3-day weekend mode! We’re heading to NYC for a fun trip, much like our recent impromptu trip to Marblehead. I’m so excited to get in the summer mood, adventure around, see the sights, and get some good grub (and hopefully some good blog shots while we’re there)! 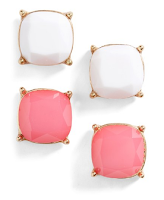 I’m super excited about Nordstrom’s half yearly sale because you can find cute summer prices at ridiculously slashed prices, like these square studded earrings which are 2 sets for just $10! 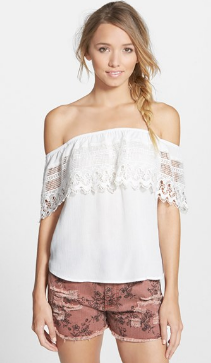 This super trendy off-shoulder top is just $38, and it’s actually not even on sale! I just added it because I’m clearly obsessed. I adore how it combines two trends this summer – off shoulder and lace! How could you not love these studded t-strap pumps? 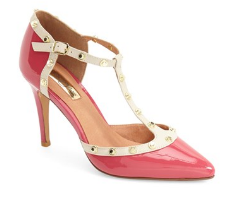 I’m swooning over their color and how much more affordable they are than their Valentino counterparts! They also come in 4 other colors so I’m tempted to get more than one! 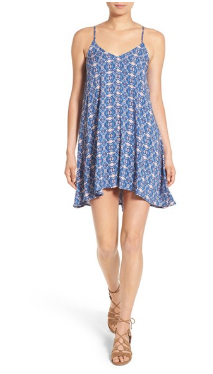 This print camisole dress is another one I’m about to add to my closet. It’s the perfect flowy dress to wear on a hot day, and the color and print are so pretty! Plus, it’s less than $25. That’s my kinda deal! 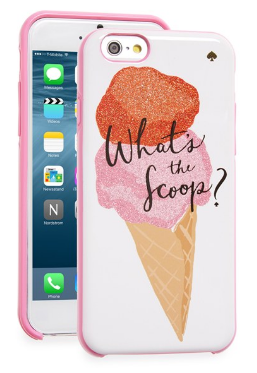 It’s always fun to switch up your phone case, and this carefree ice cream summer case is cute as a button! Just think of the Instagram photos! Also, now I want ice cream. 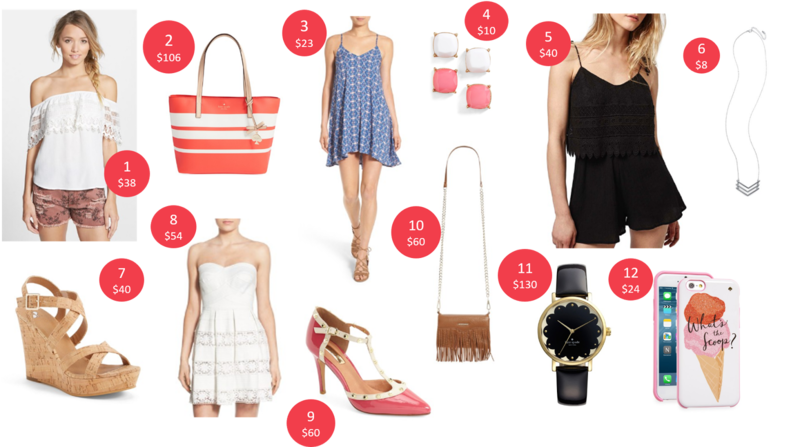 So this post clearly reflects how my thoughts are all about summer, adventures, and deals lately! Hope you score something good in the sale – treat yourself! Comment Challenge: What are your plans for the long weekend / summer?